The twenty-one novels in Patrick O’Brian’s Aubrey-Maturin series are the greatest sustained work of English-language fiction written in the 20th century for the high craft of their characters, story lines, language, and themes, for the breadth of their erudition, and for the sheer stamina of O’Brian’s invention. The series follows Jack Aubrey, a fighting captain in the British Navy, and his particular friend, Stephen Maturin, naturalist, naval surgeon, and intelligence officer, as they fight in the Napoleonic wars as well as the War of 1812. The series begins with superlative novels that include the books in my best of O’Brian list below. Then, like the happiest of long-running marriages, the Aubrey-Maturin novels take a modest step down to the level of very good indeed; with my metaphorical marriage encompassing not only Jack and Stephen’s monumental friendship, but more importantly, the great devotion of O’Brian and his readers to each other. Patrick O’Brian’s magnificent sophomore work is the crown jewel of the series. The novel begins with O’Brian in full Jane Austen mode, following a young Jack Aubrey with prize money in his pocket and time on his hands because of an unfortunate lull in the Napoleonic wars, as he pursues his eventual wife, Sophie Williams. Soon, fighting breaks out again but more significantly, Jack and Stephen’s friendship breaks down over a second woman (Stephen’s eventual wife, Diana Villiers) and they challenge each other to a duel. This is the only time in the series when the enduring friendship between the Aubrey and Maturin is shaken, and it makes for some of the most difficult and moving reading in the novels. In Post Captain, O’Brian’s skill at writing complex, lucid, and compelling battle scenes emerges in all its glory, as does his humor, most especially when Jack is forced to escape suddenly hostile French territory by disguising himself as a dancing bear. Unlike many of the later novels in the Aubrey-Maturin series, which don’t end as much as they simply stop, Post Captain concludes with a bang. O’Brian places Jack in command of one of the four British ships that famously captured a Spanish treasure fleet bringing gold back from the New World to finance Spain’s entry into the war against England. Stephen, in his emerging role as an indispensable intelligence officer for the British, gathers the information that makes the capture possible. In HMS Surprise, the pace is faster, the action more exciting, the stakes higher, and the plot architecture tighter than in Post Captain, which it immediately follows in the series’ sequence. For my money, HMS Surprise features the best set-piece in the entire series: Jack’s brilliant and daring rescue of Stephen, who has been captured as a spy by the French and is being tortured in the town of Port Mahon on one of the Balearic Islands. This is also the moment when the friendship between Jack and Stephen becomes stronger than death, and so the great and enduring heart of the Aubrey-Maturin novels begins to beat. In HMS Surprise, both Jack and Stephen face down significant rivals. For Jack, it is the French Admiral Linois, who defeated him in the series’ first book, Master and Commander. For Stephen, it is a new contender for Diana’s affections, who he challenges to a duel that leads to another of the series’ most famous sequences, in which Stephen performs surgery on himself. Finally, HMS Surprise launches two more of the novels’ great elements. The first is the theme of marriage’s problematic nature, as Jack looks forward to bliss with Sophie in the book’s final lines (Jack predicts the future will be “pure paradise”). The second is exotic locales. India features prominently in HMS Surprise, and future novels will take Jack and Stephen all around the world. Jack and Stephen are equal as friends, but Jack is more often the agent of action in the novels, partially because he is the captain of the frigates on which Stephen serves and partially because his appalling bad judgment in nearly every aspect of his life except as frigate captain is always getting him into trouble. The Fortune of War is the single book in the Aubrey-Maturin series that truly belongs to Stephen. In it, he and Jack have been captured by the Americans during the war of 1812. Both are taken to Boston, where a severely wounded Jack is held prisoner, but Stephen walks about with considerable freedom, since the Americans believe him to be just a naval surgeon rather than a British agent. French agents, also in Boston, know better however, and they engage Stephen in a deadly game of cat and mouse which transforms The Fortune of War into the series’ only true spy-thriller. Thrown in the mix are Diana Villiers, that brilliant complicator of Stephen’s life, and a hair’s breadth escape that wraps up the novel nicely. 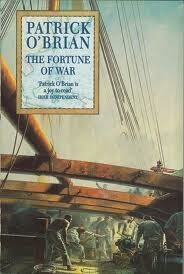 Also in The Fortune of War, O’Brian brings the double nature of Stephen Maturin into sharp focus. In the novels to this point, we’ve known Stephen as an accomplished naturalist, a committed physician, and a talented spy – but only had hints of his deadly ruthlessness. Here, Stephen kills without hesitation or regret when driven by circumstances, and O’Brian creates another contrast with his great friend, Jack Aubrey. Jack as a naval officer is personally responsible for far more deaths than Stephen, but Jack cheerfully regards war as the world’s greatest professional sport. The rewards are immense, the rules complicated and subtle, losing often deadly, but the players feel little actual animosity for their opponents as long as they adhere to the laws of the game. In Stephen’s war, there are no rules, the killing is vicious and personal, and grudges extend beyond declarations of peace. Another way to say it, of the two men, it is Stephen who has the soul of a killer. As the Aubrey-Maturin series progresses, the plots of the books become less discrete and the arcs of the stories flatten; so the novels transform into one continuous narrative that blossoms with asides, digressions, false starts, storms and accidents, sudden reversals, changes of mission caused by the whims of Jack’s superiors or shifting geopolitics, and the messy complexity of the characters most of all. The Far Side of the World is a particularly rich example of these qualities. In the novel, Jack is sent in the HMS Surprise to prevent an American frigate from attacking British whalers in the South Seas, and almost nothing goes right. He is significantly delayed by a lightning storm off the coast of Brazil that damages his ship and requires significant repairs, which allows the Americans to slip into the Pacific and strike the whalers. Later, a typhoon nearly wreaks Jack’s frigate and destroys the American ship for him. The crew is unhappy with an aging, incompetent midshipman who they believe is back luck. Stephen is entangled in political intrigue while reveling in his opportunities to collect scientific specimens. And much more. 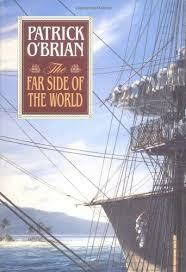 There is something existential in all this chaos, and without suggesting that O’Brian intended to write a philosophical novel – he has entirely too much sense and talent as an artist to bother with such stuff – the total vision of The Far Side of the World delivers exactly that. If The Far Side of the World flirted with existentialism, Desolation Islands walks right up to this dreary philosophy and gives it a big wet kiss. Jack accepts the command of the Leopard, an aging ship barely fit to navigate the English Channel, in a mission to transport prisoners to Australia. These prisoners attack and murder some of their guards. The ship is stuck in the doldrums and battered by storms. An epidemic kills most of the prisoners and much of the crew. The Leopard is chased and nearly destroyed by a vastly more powerful Dutch ship of the line. An iceberg damages the Leopard so severely that Jack makes a desperate landing on Desolation Island (one of many in the world at that time) where they are at risk of being marooned permanently. Desolation Island contains two of my favorite extended set pieces. The first is the Dutch ship’s pursuit of the Leopard, which takes place in the Roaring Forties, where the waves are mountainous and O’Brian’s powers of description are superb. The second is the crew’s extended stay on the cold, bleak island of the novel’s title – which Stephen regards as a natural philosopher’s paradise he is in no hurry to leave. This is an example of O’Brian’s humor, of course. But it also suggests that joy and wonder can be found any place, if you just know how to look for it. The Gunroom of the HMS Surprise site has a good glossary of nautical terms that come from the “Dictionary of Sea Terms” by R.H. Dana Jr., author of “Two Years Before the Mast.” These are particularly useful to new readers of the O’Brian series but helpful to everyone. Also useful is this openstax page on the principal parts and sails of 19th century ships. 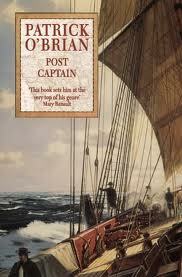 Once you start reading Patrick O’Brian, you begin to realize just how may idioms in English derive from sailing ships. For example, a “loose cannon” is a wild unpredictable person liable to cause harm. This idiom comes from the guns of sailing ships which were mounted on wheeled carriages that absorbed the recoil and allowed the gun to be drawn inside the vessel for reloading. The guns and their carriages could easily weigh 3,000 pounds, and they were secured by heavy ropes. When a gun and its carriage got loose from its ropes, it could roll all over the deck from the motion of the ship injuring or killing men. Worse, the gun could plunge down a hatch and straight through the bottom of the hull, causing the ship to rapidly sink. The CrewSeekers website has an excellent list of idioms that come from sailing ships. O’Brian describes the mechanics of sailing his ships in detail. This video of the Star of India shows what’s involved in tacking and wearing a sailing ship. In both tacking and wearing, the crew puts the ship about so the wind is shifted from one side of the vessel to the other. In tacking, the bow of the ship is turned through the wind. In wearing, the stern of the ship is turned. Tacking is the more difficult manuever because the crew is turning the ship into the wind while wearing involves turning the ship downwind. I think I knew that, since I’d done a couple short O’Brian posts last year and I believe it came up. I’m likely done with Jack and Stephen for a time now. My most enjoyable was the first—Master and Commander. I think that is because it launched me non-stop into the wondrous Aubrey-Maturin world. The first three books were my favorites. If one enjoys the first three, it is near impossible not to complete the series. My favorite scene in the series was in The Reverse of the Medal when Jack was pilloried. The respect and loyalty displayed by seamen and friends from his past commands that arrived to protect and honor him at his lowest moment was truly moving. I liked Master and often say, read that one, and even if just like it okay, keep going because … Well, I already explained. I can still remember exactly where and when I read the pillory scene the first time. All his old friends and shipmates risking promotion and career to be there, and of course Stephen laboring mightily before and after to defend Jack and then restore him. Nicely done. I am just as big a geek as you, having read each of these books several times and having listened to Patrick Tull’s audiobook readings literally dozens and dozens. As with all works of staggering genius, each re-reading brings forh new wonders. They are all excellent, but your top are also mine. I think Master and Commander is very like his first two novels about Anson’s voyage, but with Post Captain he really finds his footing. The women, in particular, are superbly written (very unusual for a writer who writes action so splendidly–Bernard Cornwell is partcularly bad at them, as was Hemingway). Class as it existed in 1801 England is as deeply explored as in any Jane Austen novel, and witth much more humor. Stephen is still somewhat poorly defined–it’s not until HMS Surprise, when he explores India, do we really see him flower. I usually steer new readers straight to Fortune of War, because that novel has it all and is quite accessible. Toward the end, he was somewhat less powerful, but even the later nooks (including the unfinished 21) still have some magnificent moments. These books changed my life and I will continue to read them as long as I live. Thanks for the thoughtful, inciteful review. (I even know what a killick is, and I find its definition charming). Thanks, Josh. It’s always nice to have a good review of the blog posts that take time to write and “best of”s usually do, for me at least, because I have to organize my thoughts and find some point of view (what I like and why) to guide the list. I’m really intrigued by your suggestion to start with “Fortunes of War” because it seems right. I usually say … read “Master” … and if you like it just fine, but don’t love it, keep going. I think your approach is better. I didn’t realize “killick” was anything other than a proper name until your hint, and now with the help of Google, I know better. I might replace Post Captain with The Wine Dark Sea or The Nutmeg of Consolation. I’ll have to take another look at them. Have to admit it’s been a while. I did just reread parts of Post Captain. Bad summer cold, all I had energy for was a book I already knew. 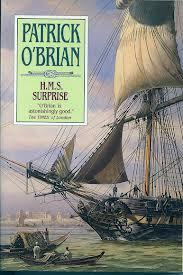 The later books were somewhat formulaic, since O’Brian (and his readers) knew the characters so well. He was fond of killing off midshipmen. West and Davage also met grisly ends, but the core personalities were more or less safe (Bonden excluded). The plots and individual incidents remained vivid and gorgeous all the way through 21. I think the series was much fresher before he got famous (the 13-Gun Salute was the first he wrote after he changed publishers). It’s a matter of personal taste. I recently reread HMS Surprise and was blown away by its scope and depth. I’d probably say the same thing in a slightly nicer way. I’d say that story arcs were not an O’Brian strength — at any time in the series, really — but character and scene / situation were. So the latter books found situations where Jack could be Jack and Stephen could be Stephen, and you had wonderful set pieces, and if the whole was a little clunky sometimes, it didn’t matter if you liked Jack being Jack and Stephen being Stephen and enjoyed O’Brian’s sensibility and the way he could bring individual scenes to life. All of which, of course, I did enjoy and that immensely too. Not only did O’Brian’s advancing years see the gradual decline of his formidable skills, he had to cram several novels in a short time frame. I don’t think he thought the series would go on so long. By the time of Fortune of War, it is already 1812 and Britain’s war with America would begin. That’s a good list. I’d estimate I’ve read the whole series 2-3 times and listened to it even more via Patrick Tull’s excellent audiobooks. I’d agree that Post Captain is the crown jewel. It spans so much in terms of the war, the lives of the two characters, naval adventures, domestic adventures, etc. The only one I might swap out is Far Side of the World. I think I’d put Treason’s Harbour or Desolation Island ahead of it. Reverse of the Medal is tempting simply for the unbelievably moving scene of Jack at the pillory. Thanks for putting the list together — it’s nice to know there are others who enjoy O’Brian’s books as much as I do. I agree with the list and would add three more: Master and Commander, The Mauritius Command and The Reverse of the Medal. The two of the series I like least was The 13 Gun Salute and the Hundred Days. I agree with those three as well. Mauritius following Jack trying to manage all the personalities, especially Clonfert. Reverse has the pillory scene, of course, which chokes me up every time I think of it … including right now. The pillory event is perhaps the most stirring moment in the series that is filled with them. O’Brian was a master of plot and surprise and it shows in the pillory event. Oh, how I wish I could use the wonderful quaint expressions in everyday conversation! Just love every book in the series, am working my way through them again and not disappointed in the least. The humor and subtle character interplay is astonishing and much appreciated. I have just re-read Post-Captain. I would agree with our host. It is the best. The plotting and sub-plotting is elaborate. And a few events that will occur in the next novel, HMS Surprise, are foreshadowed in Post-Captain. I can detect a malignancy toward Canning swelling up in Stephen. Great article. Never doubt that you thousands of us match your enthusiasm for touring the ship used as the Surprise. I give you the joy of it, Sir. I’m in the middle of them for the first time now (halfway through Far Side of the World). Before this I’d only ever seen the M&C movie (which I loved). So far I agree about the series’ mastery on all counts — I’m hooked — except regarding PO’B’s skill at writing female characters…I’m not seeing that. One looks askance at the recurring, pulpy narrative references to Diana Villiers as a sort of ‘fiery high-spirited thoroughbred’, for example. Or is such bodice-ripping cliche just PO’B winking at us? I’ve never sensed a wink from O’Brian and I agree with what you say about Diana. She is exactly the person Stephen would fall in love with however … Stephen who always falls in love with impossible causes. 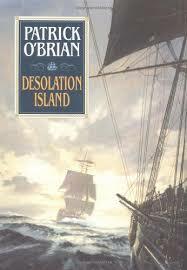 I like to think of Desolation Island, Fortune of War, and The Surgeon’s Mate as a trilogy. My five would be those three plus Master and Commander and HMS Surprise.